Three farm-fresh eggs, mixed with house-made ham, bacon or sausage, peppers & onions then baked with gruyere cheese. Served with breakfast potatoes and choice of house-made bread with seasonal jam. Two eggs any style served with choice of bacon or sausage, breakfast potatoes, and choice of handmade bread with seasonal jam. 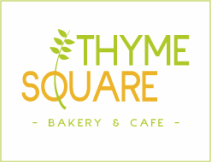 Choice of bacon, sausage or ham, farm fresh scrambled eggs, aioli, and aged cheddar on choice of handmade bread. Fresh-baked English muffin topped with house-made Canadian-style bacon, two poached eggs, and hollandaise sauce. Served with breakfast potatoes. fresh-baked english muffin topped with seasoned avocado spread, two poached farm-fresh eggs, and hollandaise sauce. Served with breakfast potatoes. Fresh-baked english muffin topped with our housemade sage sausage patty, two poached eggs, and sausage gravy. Served with breakfast potatoes. Two poached farm-fresh eggs served over our house-made corned beef with onions and potatoes. Served with a fresh baked English muffin and seasonal, house-made jam. breakfast potatoes. Substitute fresh portabello mushroom for our house-made chorizo as a vegetarian option. Three house-made pancakes served with whipped honey butter & pure maple syrup. Hand-made challah served with whipped honey butter & pure maple syrup. House-made cheddar biscuit topped with scrambled eggs, breakfast potatoes, aged cheddar & warm sausage gravy. House-cured salmon, cream cheese, pickled red onions, capers, radish & parsley on grilled, house-made sourdough bread. Served with a side of local, seasonal fruit. Three egg omelet filled with our house-smoked bacon, peppers, and aged cheddar. 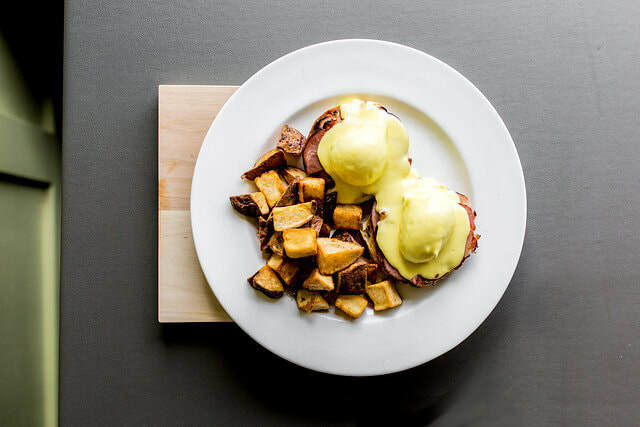 Topped with our house-made hollandaise & served with Breakfast Potatoes and house-made english muffin with seasonal jam. Three egg omelet stuffed with local peppers, onions, mushrooms, spinach, seasonal veggie & gruyere cheese. Served with a side of seasonal fruit & english muffin with jam. Three farm-fresh eggs with aged cheddar cheese served with choice of side of bacon or sausage and house-made english muffin with jam. Three egg omelet filled with aged cheddar cheese, house-smoked bacon, house-cured honey ham, & house-made sausage. Served with a side of Breakfast Potatoes & english muffin with seasonal jam. Three egg omelet stuffed with our house-made chorizo, onions, peppers, & pepperjack cheese. Served with a side of our house-made salsa, Breakfast Potatoes & english muffin with seasonal jam. From Fresh Fruit Iced Tea & Lemonade to Edgewood Orchard Apple Cider to our house-made Spiced Hot Chocolate with house-whipped cream, we’ve got a refreshing beverage to brighten up your day. Fresh Fruit options change regularly. Ask which Specialty Beverage we are serving today!